At least 25 people have died since the start of the rainy season, being victims of lightning strikes in Zambezia province, central Mozambique. 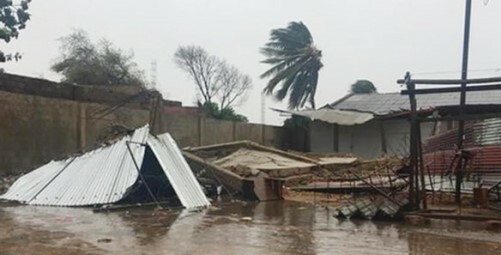 According to the spokesperson of Mozambique's National Institute for Disaster Management (INGC) in the province, Maria Luciano, "so far at least 25 people have been killed by lightning in the province since the rainy season began on October 1, and in the same period the bad weather also destroyed 450 houses, affecting about 2,500 people", Luciano was quoted as saying by state-controlled Radio Mozambique on Friday. The official said that some affected families have already begun to rebuild their homes and others are waiting for INGC support. The weather also affected the education sector, destroying more than 60 classrooms constructed from precarious and conventional material. According to INGC figures, the southern hemisphere summer rainy season has so far killed 50 people in Mozambique. Elsewhere, torrential rains and winds have caused flooding, including in the north of the country, with 7,200 homes destroyed and 130,000 people affected. Low-lying areas of Mozambique, a tropical African nation with a huge Indian Ocean coastline, are often hit by floods, which in some years in the past have killed hundreds of people. Much of southern Africa including Mozambique is still recovering from a devastating drought two years ago and the dry, compacted soil increases the potential for flooding as rainfall is less easily absorbed into the parched ground. Following the extensive floods in 2000, the former Portuguese colony created the INGC and intensified efforts to give people sufficient warning and to better coordinate a response. The efforts were praised by the United Nations which said Mozambique had gone a long way since the last floods then.